The club has a major coaching programme to encourage players of all ages and experience. 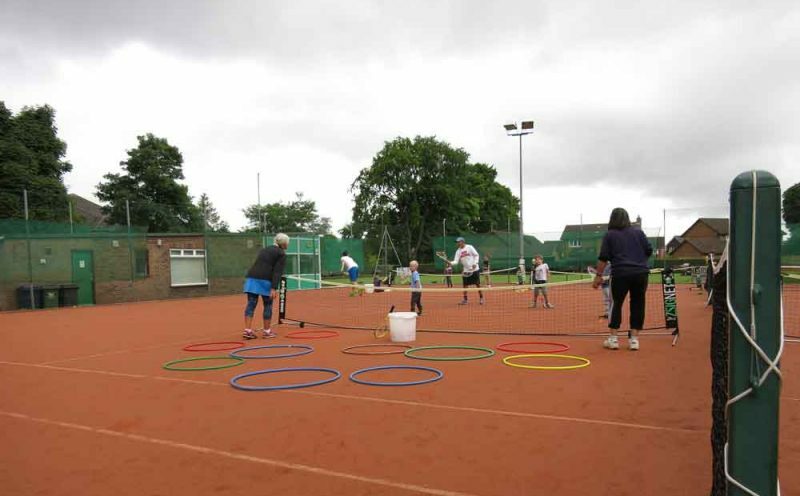 Club Coach Melanie Burn runs courses throughout the year on Sunday and Tuesday mornings for adult beginners and those who have not played for some time and feel in need of a refresher course. Those interested should contact Melanie on 07949 128195 (email melebbles@hotmail.com) for further information. The club has a thriving Junior section with opportunities for all-year-round coaching, social, and competitive play. We run a full junior coaching programme during the school terms as well as separate courses during the school holidays. Junior coaching takes place Monday to Friday after school for ages 5 to 17; there is also a “tots tennis class” on Wednesdays at 2pm for 2 years upwards, and a “girls only” session on Sundays at 5pm. The junior programme includes a “performance group” session for those who have reached the required standard. Assisting Mel with the weekly coaching is Chris Roberts, a qualified level 3 club coach, and Hazel Brownlee, a qualified level 2 club coach . These are an annual and popular event in the school holidays and are open to members and non-members alike. 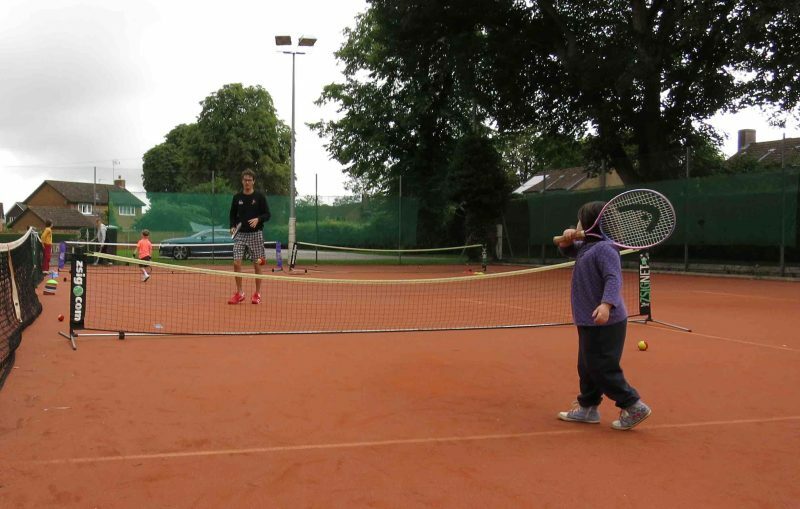 These camps are aimed at all abilities from tots to teenagers. More information will be posted on our home page nearer the times. 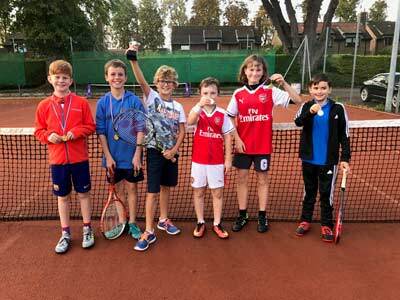 The club encourages junior members to enter team and individual competitions eg singles box leagues, afternoon matchplays, Aegon Team Tennis for Under 14s and Under 18s and open events like The Road To Wimbledon. please click here to view our Safeguarding Children & Young People policy.